To Ohio Bell, it’s a way for customers to have up to nine telephone numbers–some for specific friends, some for the bill collectors–for the price of one. This technological Rorschach test is called Integrated Services Digital Network. And not since the invention of television have so many people looked at one thing and interpreted it in so many different ways. Technically, ISDN refers to an architecture–the software, hardware and protocols needed to deliver a mix of voice, video and data over a digital telephone network. This is important because it is a way of squeezing every bit of capacity out of the twisted pair of copper wires that the local telephone company runs into your house, bringing the kind of services that are usually associated with more expensive fiber optic cables. When Barbara Bush video conferenced from the White House with children at a Baltimore hospital at Christmas, she was using an ISDN connection. 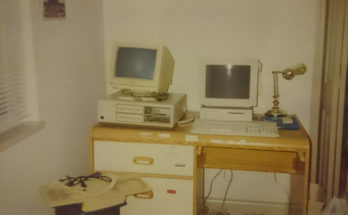 When a group of Lawrence Livermore Laboratory scientists work at home, ISDN enables them to use their personal computers, without a modem, to tap into the lab network and get a data connection 27 times faster than normal. The Rochester Telephone Co. and AT&T recently completed an ISDN experiment in which phone company employees used ISDN to telecommute from their homes. With the lifting of restrictions that barred local telephone companies from providing information services, the Baby Bells are looking for ways of getting into the information business. Fiber optic cable, the hair-thin strands of glass that convey signals at the speed of light, is considered the ultimate way to transmit information services, both for its speed and high capacity. But the cost of deploying fiber has stalled it at curbside; telephone companies estimate it will cost hundreds of billions of dollars to extend it into homes. By using the existing copper wires that connect homes to local telephone companies, ISDN could be a far cheaper, more quickly available alternative, a “ramping up technology,” to fiber, said Barlow. With software developer Mitchell Kapor, who is famous for the business spreadsheet program Lotus 1-2-3, Barlow founded the Cambridge, Mass.-based Electronic Frontier Foundation, a public interest group dedicated to defining and promoting the rights of computer users. 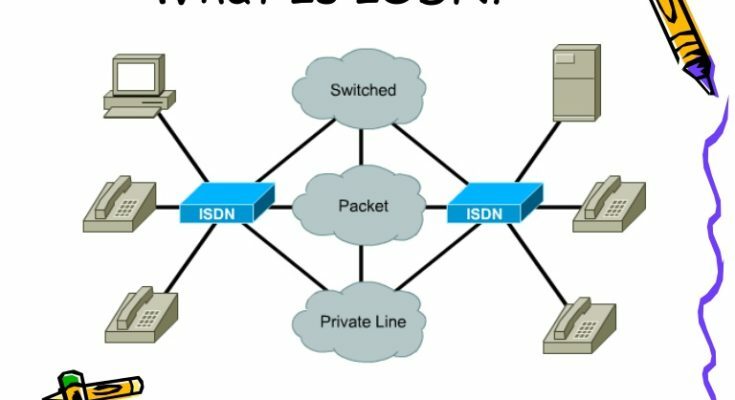 The organization is lobbying for ISDN as the medium for an easy-to-access, national public network of computer users. Will ISDN stay where it is, mostly with businesses, or will it make the connection to people’s homes? The answer depends on whom you ask. “I think we’re at a critical period in the deployment of ISDN because up until now, it has not been possible to make an ISDN telephone call from the service area of one phone company to another,” said Marvin Sirbu, a telecommunications expert and professor at Carnegie Mellon University in Pittsburgh. Sirbu said that ISDN gained momentum recently with industry wide agreements that created standards for equipment makers and service providers to interconnect nationally. That should occur by the end of 1992. It means that the 300 or so isolated ISDN islands will be able to talk to each other and the technology is almost certain to proliferate, at least between businesses, he said. BUT SIRBU discounted the EFF’s notion of a public national network based on ISDN and said it was wrong to expect the telephone companies to deploy it for information services. Commercial interest in ISDN seemed to peak in 1986, when McDonald’s Corp. was the first business to try it out. (Two executives, two miles apart, spoke on the phone while looking at video images of each other and while transmitting a graphic of the Golden Arches onto their computer screens.) Though the technology spread to the rest of corporate and high-tech America, it did so slowly; uses were pretty much limited to a kind of advanced Caller ID option. For instance, if you call your credit card company’s 800 number from home, chances are your name and records will pop up automatically–before you even identify yourself–on the computer screen of the customer service rep as he takes your call. With ISDN, a company can also tell if you called, were put on hold and hung up without ever speaking to a person; if they want to, they can call you back. It also allows them to note in their database that you speak only Spanish and automatically route you to a bilingual operator. The anticipated–and current uses–for ISDN run from the poetic to the prosaic. On the poetic end of the spectrum is the Electronic Frontier, which is pushing ISDN as the ideal platform for what has been dubbed the National Public Network. Barlow said that that network would carry, in addition to normal telephone calls, multimedia electronic mail, in which users could send a mixture of voice and video; personal faxes, software, games “and other media not yet imagined.” The network, in his view, would be the ultimate expression of “global free speech,” giving all users an unprecedented chance to interact. “We believe that ISDN, whatever its limitations, is rapid enough to jump start the greatest free market the world has ever known,” said Barlow. ISDN can deliver data 27 times faster than a 2400-baud modem, the telephone-computer interface that most PC users use. It does this digitally, by creating two 64-kilobit-a-second channels that can be used for voice or data, and one 16-kilobit-a-second channel, on your phone line. With developing data-compression techniques, users could get a combination of voice, pictures, music and video. “Multimedia postcards,” as Kapor put it. “Today, it’s the case that you can do very high-quality picture phones over ISDN at very, very good quality,” he said. “Compression techniques are continuing to evolve so it’s reasonable to expect that we will have VHS-level quality” over copper wires. But, while more than 60 percent of the country will be ISDN ready within two years, Kapor, Barlow and others worry that the telephone companies will do little with it for residential users, aside from offering their business customers–where most of the money is for phone companies–some ISDN services. “Telco mindset was developed in an era of highly centralized networks in which it took a decade of court battles to give you the right to attach a suction cup to your telephone,” said Kapor. “Computer industry mindset, especially PCs, was born in garages and attics where teenagers, kids, and outsiders invented the Apple II and Lotus 1-2-3.” So Kapor and the EFF has been trying to line up the support of computer and software manufacturers, among others, to lobby in Congress and among the public utility commissions state by state, for a more directed and speedy deployment of ISDN. Currently, there are some 300 ISDN “islands,” each centered around discrete ISDN-equipped phone switches. No one knows exactly how many there are, nor how many users they serve, though the vast majority are dedicated telephone lines that run from telephone company switches to specific businesses. 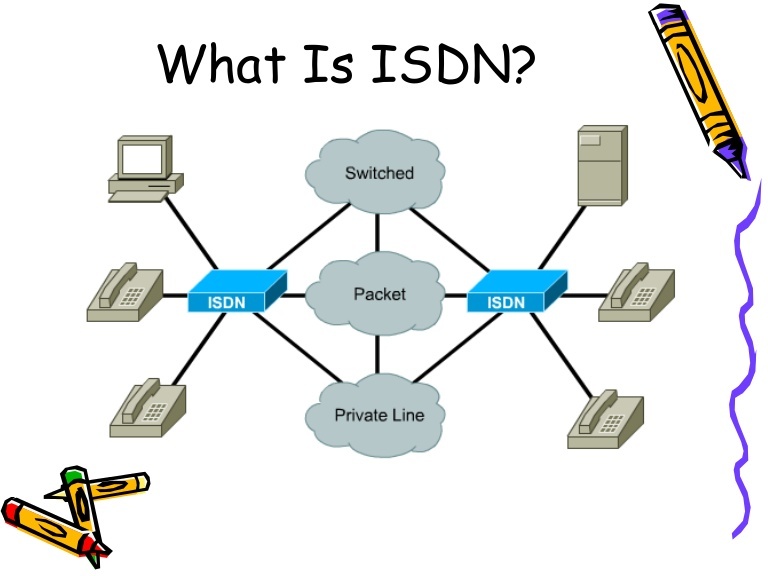 Though users within each island can interact using ISDN, they can not interact between islands because the companies that manufacture ISDN switches used different standards, and because there was no standard interface between the ISDN that a local telephone company uses, and the ISDN that a long-distance carrier uses. However, standards by Bellcore, the research arm of the Baby Bells, should bring all the switches into conformity by the fall of 1992. Stan Kluz, an ISDN expert at Lawrence Livermore, recently hooked the first group of ISDN users off site, into the laboratory’s computer network. Kluz said that through this arrangement, 12 scientists who live near the University of California at Berkeley can use their computers at home, and have access to data at 64 kilobits a second. With speeds that fast, the scientists can manipulate huge amounts of data and see their problems displayed in three dimensional graphics on their home computers. Kluz sees the future of telecommunications and it is ISDN. He says that videoconferencing on all ISDN-equipped computers at Lawrence Livermore will be available soon; with nationwide interconnection agreements, he hopes to see “distance learning” in which a class in, say, nuclear physics, could be video conferenced at the Massachusetts Institute of Technology to the computer of a Lawrence Livermore scientist, who can take part in the class. But Kluz, who also serves as president of the California ISDN Users Group, echoed Kapor and said that the phone companies aren’t moving fast enough to create demand for the service. “They’re not marketing it well,” he said. NYNEX spokesman Joe Gagen–as well as virtually everyone else interviewed for this story–said residential ISDN is a classic chicken and egg problem. In order for people to want it, there have to be services. But information service providers won’t proliferate until there’s a demand. Gagen said that residential demand will grow as people become exposed to ISDN at work. ISDN has already penetrated New Albany, Ohio, where 16 ISDN accessible homes have been built. The country-club-style development (median house price, $700,000) surrounds a Jack Nicklaus designed golf course and, its developers say, is the first commercial application of residential ISDN. Neil Toeppe of Ohio Bell Telephone Co. said homeowners have the option of giving out up to nine telephone numbers from an existing telephone line, each with a different function. For instance, the number listed in a phone book could be programmed to run into an answering machine; a second line can be given out to friends, and ring only on telephones in designated rooms; a third number could be for the children’s phone and it could divert to voice mail after 7:30 p.m. Within a year or so, residents will be able to have the local utility company monitor their thermostats, using the 16 kilobit data channel. That will let homeowners subscribe to a kind of power sharing agreement under which the power company will virtually control the thermostat in exchange for discounted rates. Other features will also be available–as soon as someone figures out what they are. 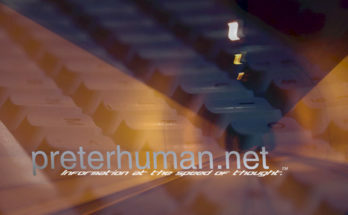 This is the quoted content from the original text file located at https://cdn.preterhuman.net/texts/computing/internet_information/isdn-technology.txt in the Higher Intellect texts archive.